My husband loves shortbread and so did my dad, so for their sake I will start here with the biscuit recipes. I try not to think about the amount of butter shortbread uses and to be honest usually forget once the biscuit is melting in my mouth, I guess it is all that butter that makes them so moorish. Tastes vary so there are two recipes here the first is a totally all butter version which is the family favorite, the second uses a little less butter and is made with brown sugar for a slightly deeper taste. Both keep well and in fact, mature over time, a week to 10 days in an airtight container, mine never last three days! This mix must be put in the fridge for at least 30 mins. I use my stand mixer with the K paddle but have made both of these with a hand whisk so anything in between is fine, just make sure the butter is at room temperature and the mixture is even. Cut some baking paper into two rectangles 200mm wide by 300mm long and put them to one side. Line two oven trays with baking paper. Beat the butter first on its own until pale and creamy, then add the sugar and mix to combine only. Add the egg yolk and the cream, again the idea is to just combine. Now add the flour and guess what, do not over-mix just combine, scrape down the sides of the bowl as any lumps of the butter mixture will ruin your shortbread. Try not to over-mix, but it is no drama if you do. Divide the mixture into two and put one half each in the center of the paper rectangles. Wet your hands and then fashion each portion into a log shape. With clean hands now roll the mixture in the paper until you have a long roll about 200mm long. Do not worry about the shape as long as there is a 30mm overlap along the long seam you should be fine; the biscuits round up in the oven. Twist the ends to close and this will also even the ends out, and pop in the fridge for at least half an hour. At this point you can freeze the logs or the discs. 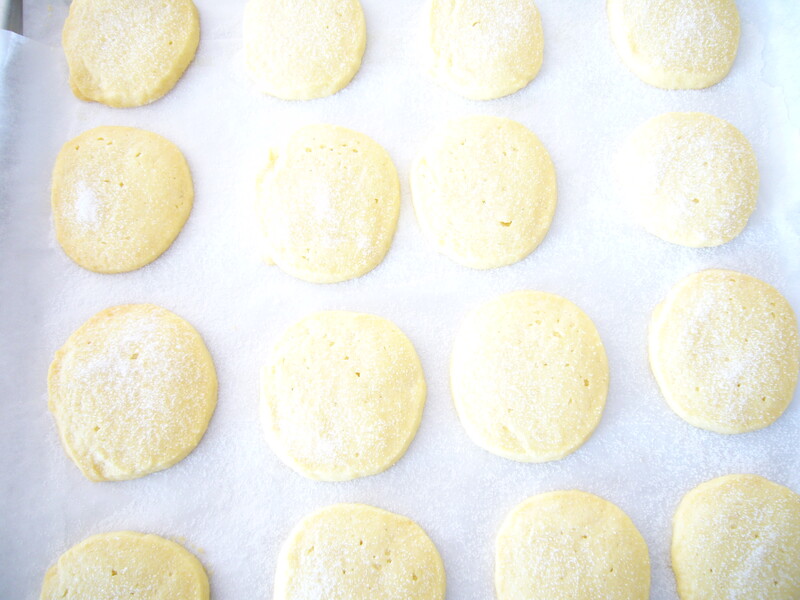 Preheat the oven to 150ºC fan bake and using a sharp knife cut the log into slices you can make up to 60 biscuits. Bake until they are just turning golden at the edges and absolutely allow to cool on the tray, any attempt to move them will break them. As I take them out of the oven I sprinkle with caster sugar but this is not necessary. Line a 20cm square baking tin with baking paper, make sure it goes over the edges so you can lift it out later. Sift the flour and salt into a large bowl. 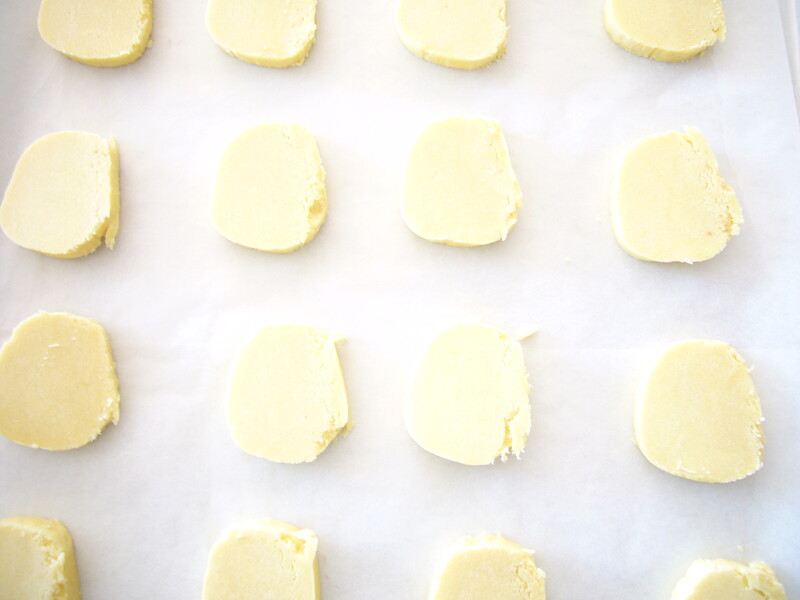 Beat the butter and sugar together until pale light and fluffy. Add the flour and salt and mix to combine only. I do this a third at a time. Dump into the tin and push down with the back of a metal spoon. Prick all over with a fork randomly as I do or take your time and make even rows. Chill in the fridge for at least 15mins. Bake for 40 to 45 mins in a preheated oven 170ºC fan bake but keep an eye on it so it does not over brown in the last 10 mins, you are aiming for just golden. Again I sprinkle with caster sugar as soon as it comes out of the oven, and you can do this too if you wish. 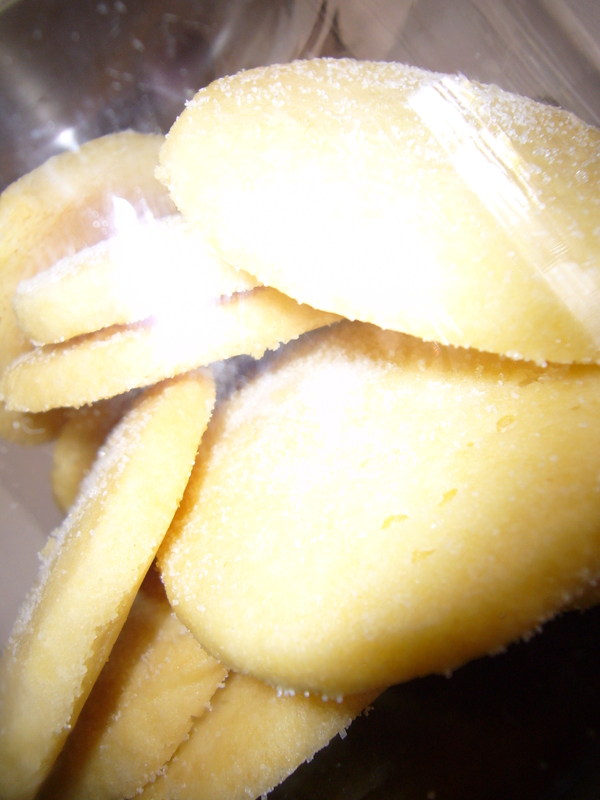 Use a sharp knife to cut into 12 fingers and with all short dough leave to cool completely before lifting from the tin.